We’re on day three of the cleanse, woo! 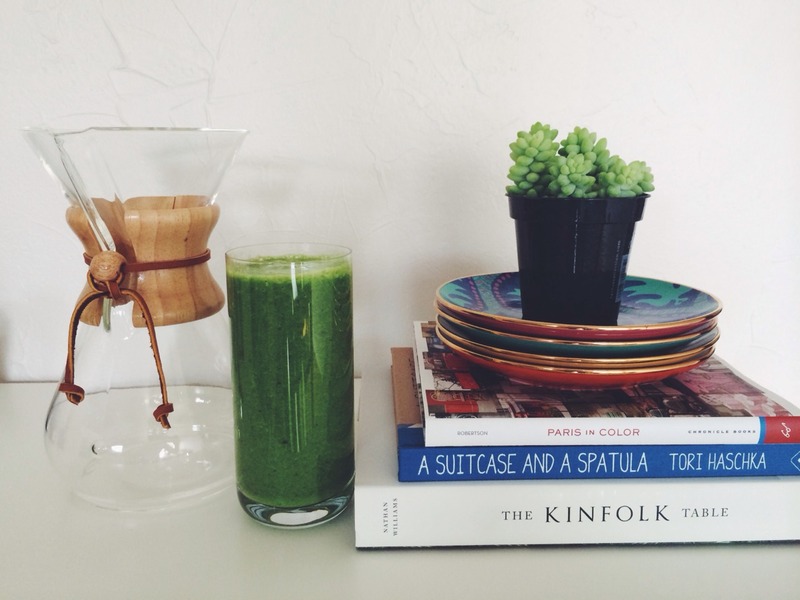 One of my favorite things to enjoy during the cleanse (and any other time, really) is a fresh, tasty green smoothie. In fact, the only one I ever make is Greens in a Glass. It is healthy and surprisingly filling, chock full of vitamins and nutrients that really give me a boost. It’s so, so easy to make, and I cut up the vegetables and store them in my fridge so I can make smoothies all week long at just a moment’s notice. I added a little extra banana to the original recipe and I swapped the Greek yogurt for almond milk so my treat can be dairy-free, but you can really make all of the changes that you’d like – this smoothie is so customizable! Add the spinach, cucumber, celery, and 1/2 cup of water to a blender. Blend on high until completely smooth and liquid. Add the banana, pineapple, almond milk, and ice cubes (if using) to the blender. Blend until smooth and frothy. One of my favorites, too. I love it with almond milk instead of yogurt. So tasty!